Single parents are being blocked from standing for election in Wales due to a lack of childcare help, campaigners have warned. The Welsh assembly does not have a creche while none of Wales' 22 councils have childcare facilities. Equality campaigners said the lack of help made it "impossible" for single parents to stand for election. A spokesman for the assembly said it was committed to making it a "family-friendly environment". Statistics provided by equality campaign group Gingerbread show there are about 97,000 single parents in Wales. The Senedd is the newest parliament building in the UK but it does not have in-house childcare facilities and spaces reserved at a nearby nursery were recently scrapped by the Assembly Commission due to a lack of use. But some assembly members have told BBC Wales they were aware childcare places had been made available and said they needed to be better publicised. While none of Wales' 22 local authorities have childcare facilities, councillors can claim up to £403 a month to help with childcare costs. But campaigners have said many fail to claim due to a "stigma" attached to claiming certain types of expenses. What is the situation for UK politicians elsewhere? In the only facility of its kind in Europe, the Scottish Parliament has a free creche for visitors in a bid to create "an open and accessible" parliament, while the House of Commons is finalising details for one in Parliament to work alongside its existing nursery. Campaigners want the Welsh assembly to follow suit to allow everyone to access democracy in Wales and to encourage more single parents to stand for election. 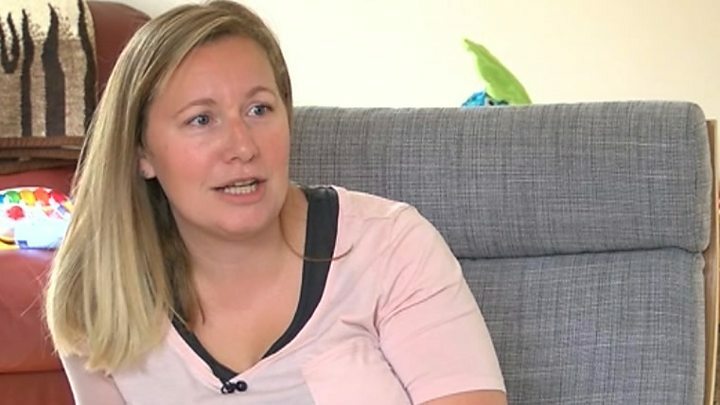 Mother-of-two Sarah Rees, who stood as a Women's Equality Party candidate in the 2016 assembly elections, said a lack of childcare provision was the main barrier stopping parents getting into politics. She said she would have found it "impossible" to stand without the support of her family and if the party had not offered to pay for childcare, and said she knew of councillors who had stood down due to the stigma surrounding claiming childcare expenses. "If I was a single parent I wouldn't have a second in a day, politics would be out of the window," she said. "If you don't have family that live nearby then your children are with you all the time. "I want to be in politics but I refuse to drag my children out to meetings when they should be in bed." Labour AM for Islwyn, Rhianon Passmore, who has four children, said the assembly should be a "good role model for what should be the epitome for the best type of child care". She said the Senedd should have a childcare centre for staff, AMs and visitors to access, but said the cost would have to be carefully explored. Amy Preece, head of Gingerbread Wales, said: "Single parents in Wales struggle with an acute lack of flexible, affordable childcare, which often prevents them from taking up available opportunities. "It would therefore be much more of a challenge for a single parent to engage in politics than for someone in a couple family. 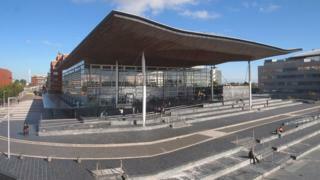 Childcare facilities would make the Welsh assembly far more accessible to all Welsh citizens." An assembly spokeswoman said: "We are committed to ensuring the assembly is a family-friendly working environment. "Until recently we retained 10 childcare places at a local nursery based in the bay for members, AM support staff and commission staff. "Unfortunately, this facility was underused, and when the contract was reviewed last year, the arrangement was terminated. "TEULU, the assembly's working parent and carer network, provides peer support and helps the assembly to consider the impact of policies on working parents and carers." Can you be politically active if you have young children?